Аудиокурс испанского языка, средний уровень. With this course, you won't waste time or money on material you already know. 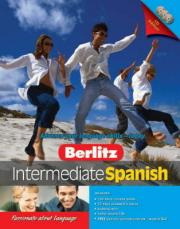 You'll hit the ground running with practical, conversational Spanish that you can put to use today. Popular topics like restaurants, at home, vacationing, and health and fitness are all covered in depth with all the most popular and common phrases you need to master them.